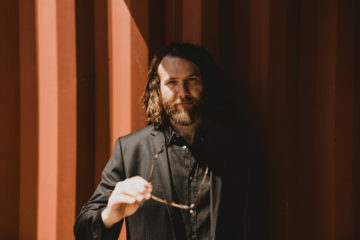 This week acclaimed singer/songwriter John Mark McMillan released his first independent project, Borderland (Lionhawk Records), to much praise from media. Borderland was funded solely by a Kickstarter campaign with close to 70,000 raised and more than 1,500 contributors. The album debuted and remains at No. 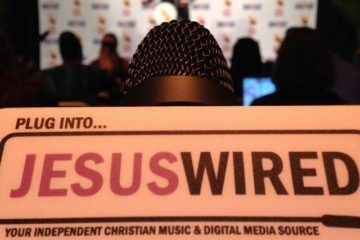 1 on the iTunes Christian and Gospel chart and continues to hold a Top 15 slot in the iTunes Overall Albums chart this week. Supporting his album, John Mark McMillan will head out on his spring tour, “Are We All Animals Tour” kicking off March 29 in Orlando, FL. Opening the tour for McMillan will be a few of his Kickstarter supporters. Singer/songwriter Brady Toops will also open during select dates in the southeast. Official tour dates are listed below. ABOUT BORDERLAND: To create the genre-bending Borderland, McMillan returned to the studio in rural North Carolina where he created much of his first two albums. He and producer Elijah Mosely spent a year out in the woods, an hour outside McMillan’s native Charlotte, patiently and intensely crafting an album that would do justice to the songs that McMillan brought to the table. Dispensing with much of the folk and the rock n’ roll that informed his earlier work, McMillan opened up his palette to include deep grooves and arena-filling sounds. Drawing inspiration from the likes of Peter Gabriel, Simple Minds and 80’s era-Springsteen, McMillan and Mosley stripped the songs to their bare essence, building them back from the foundation one element at a time. As a result, every song exudes a kind of primal soul and raw swagger only matched by the studied strength of McMillan’s voice. As for the songwriting, Borderland borders on the literary. Full of metaphors that twist around themselves and images and adjectives that are at once both literal and figurative, McMillan bends words to his own devices. Religious imagery is pressed into service to describe the mundane while the mundane is often elevated to the ecstatic. ABOUT JOHN MARK MCMILLAN:In addition to the anticipation around Borderland, this Charlotte, North Carolina native’s previous work continues with its own success. In 2012, the song “Seen A Darkness,” from McMillan’s last album Economy, was featured in the promo for ABC’s “Grey’s Anatomy” episode, “Hope for the Hopeless” (Season 8: Episode 12). 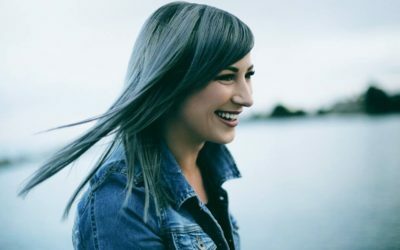 His single “How He Loves” was recently listed by Integrity Music as one of the 25 most influential worship songs in the past 25 years and still today ranks on CCLI’s Top 25 chart. John Mark McMillan is proud to be an ambassador for World Vision and an advocate for its work in Bahkari, India.